Happy Valentine’s Day! If you are visiting because you saw me on Durham Daytime this morning, welcome! I’d love for you to leave a comment and let me know what you thought of my projects. I thought it would be a nice idea to post the instructions for the banner we made. It’s super easy, so here we go. I used my Cricut and the Close To My Heart Art Philosophy cartridge to cut the banner pieces. 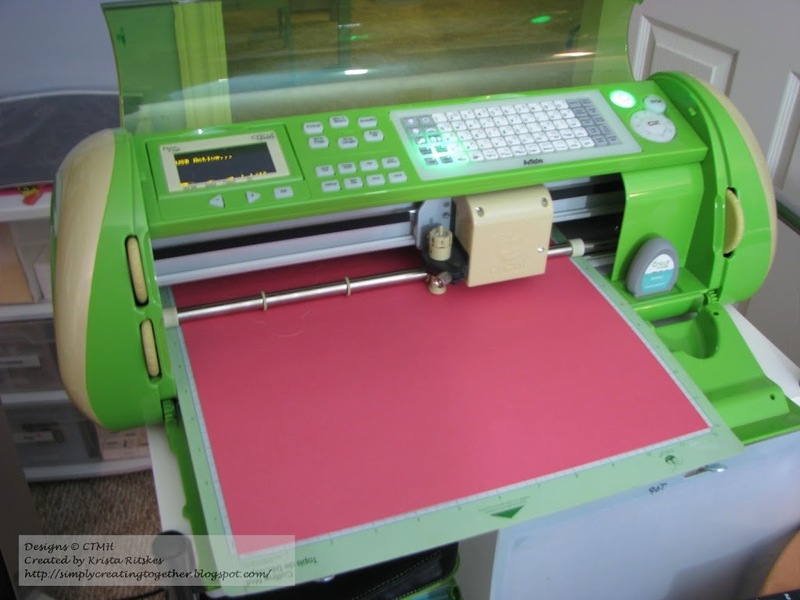 If you don’t have a Cricut, you can easily cut them by hand. 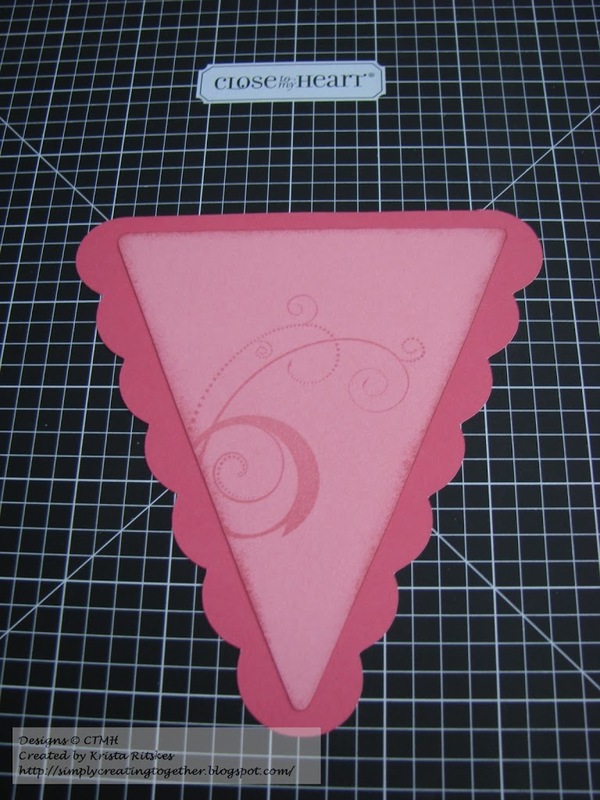 I used Cricut Craft Room, so I’m not 100% sure what size you would set your dial to, but the base is 5″ wide and the stamped triangle is about 4.5″. 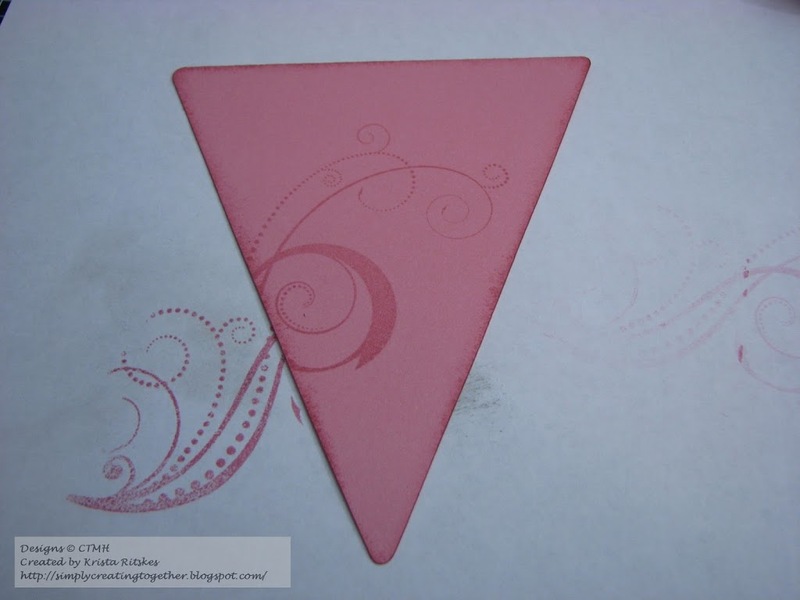 The base is cut from Hollyhock cardstock, the triangle is from Blush. and your favourite distressing tool. 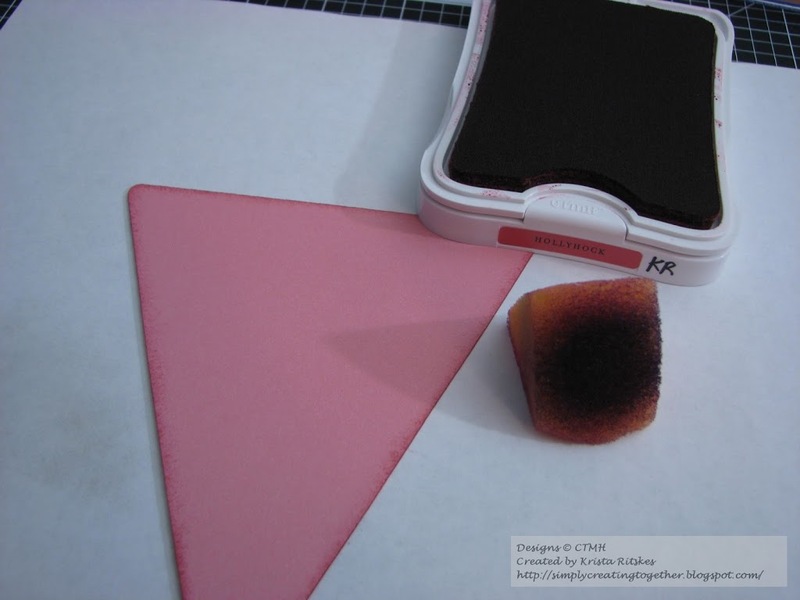 Stamp your chosen images in blush ink. I used Card Chatter-Love and Love Life. Attach your two pieces together. 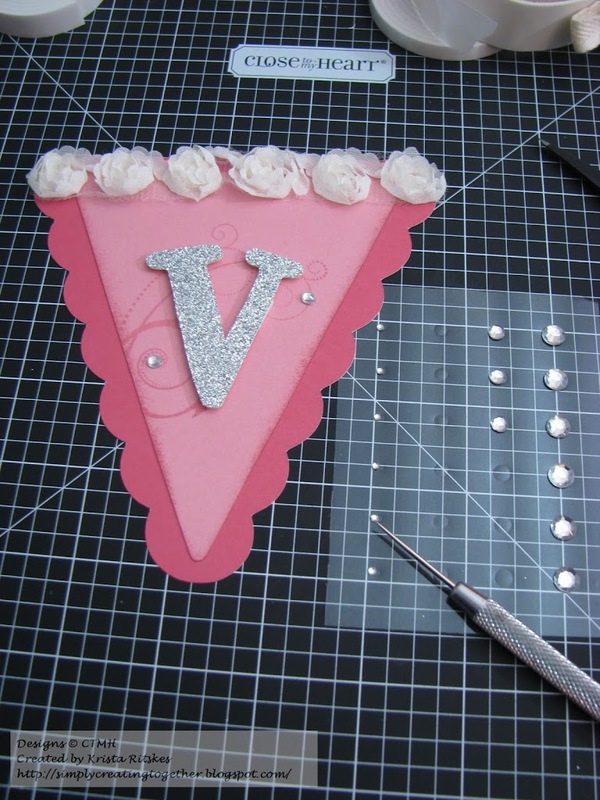 Using dimensional adhesive, like 3-D Foam Tape or Pop Dots, attach your letters. 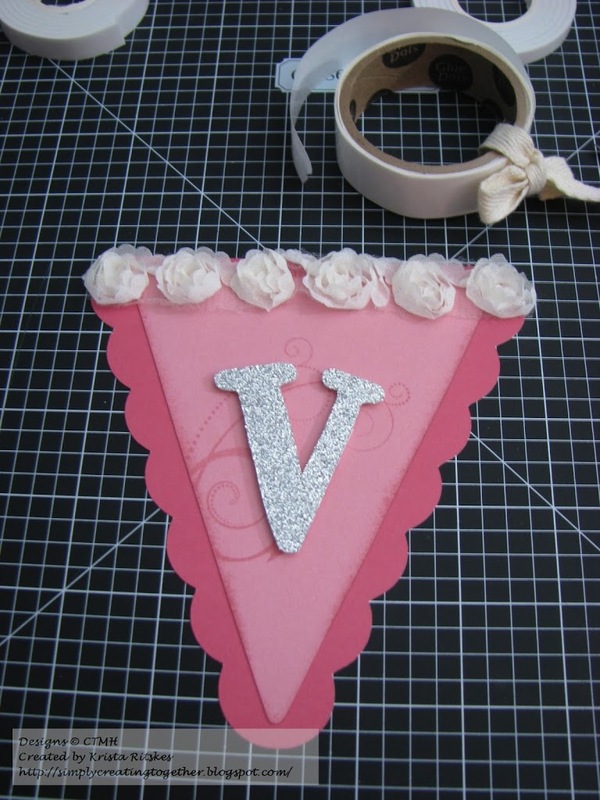 Attach your favourite ribbon to the top of each piece. I used Glue Dots. Gotta add some more bling! 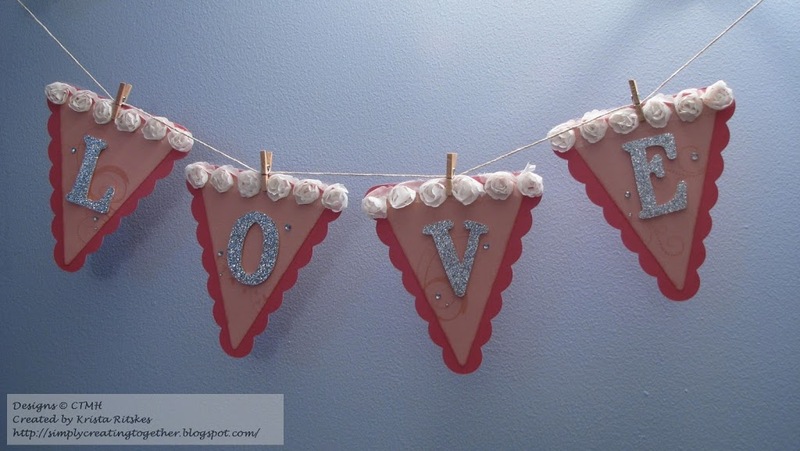 Using mini clothes pins, attach your banner pieces to a strip of hemp or twine. Be sure to leave enough on either end to hang up your lovely new banner! 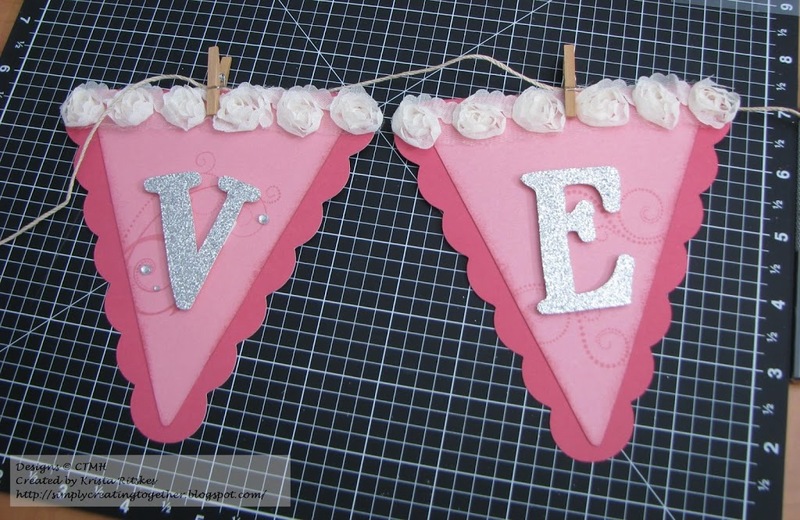 I hope you see just how easy it is to add some fun decor to your home. I also hope you’ll check out more of my blog and sign up to get my posts in your inbox. You’ll find the sign up box at the top right. Better yet, email me for more information on my classes and Close To My Heart products. I’m looking forward to hearing from you! 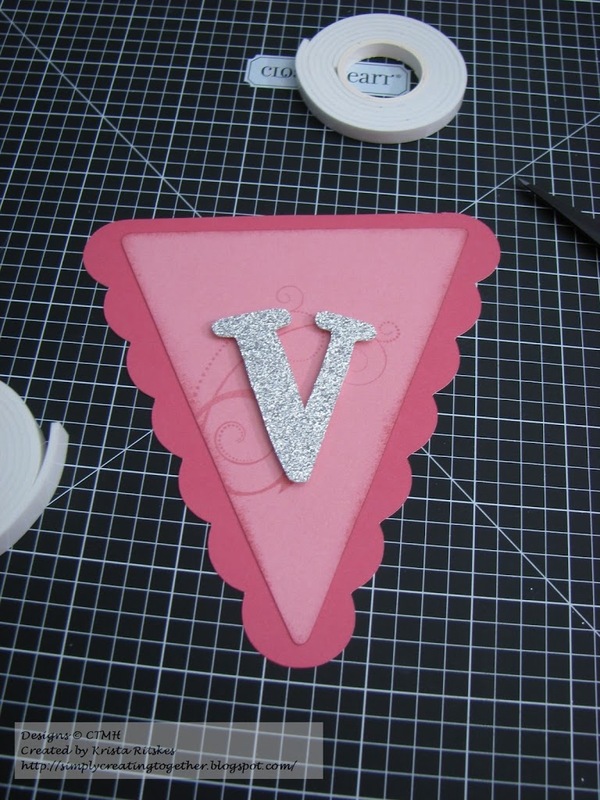 Stay tuned, I’ll be posting photos of the card we made in the second segment later. Congrats Krista! The banner is adorable. The “knipers” work really well! Love the “knipers” one of the first dutch words I learned after we were married. A great simple but very effective project.